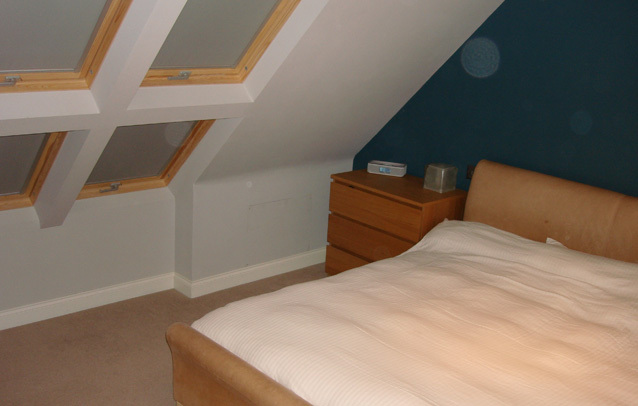 Loft conversion enables you to add up some extra space in your house. Whether you need an extra bedroom, office or children’s play loft conversion may just be the solution you seek. Also, new rooms within the roof make for spectacular views and have immense character due to their shape. Unlike other extensions, a loft conversion does not need you to build anything a fresh, which saves you, time and adds up space in your house. A hipped roof is one that slopes down on all four sides. If your house has this kind of roof, you can add some space by replacing the hips with a gable wall. The roof can then be extended over the gables to create more space. This is the most cost-effective loft conversion design. All you need to do is add some roof lights at the front and the back of the loft. You can also consider adding windows to the gable walls. This design does not alter your original house plan but creates lesser space. In this design, dormer windows are added to the pitched roof plane. This creates more space at the bank and the front. In most instances, the space created may be small with one or two windows, but space can be more significant if executed across the roof width. This conversion design is suitable for terraced houses. Here the rear roof rebuilt, and the gable walls are built up to raise the pitch, so it is almost level with the ceiling hence creating some significant space. This is a sophisticated design that involves replacing the entire roof with a box-like structure. The structure adds a new storey with 4 vertical walls with a flat rood. The mansard loft conversion creates enormous space, and you can even set up your master bedroom in the newly created space. You can fall back to this option if you have a shallow pitched roof. Using any of the above conversion designs on a shallow roof will cost you a lot of money. Hence this option can make economic sense for you. Before opting for any loft conversion design, it is important to consider if your loft is suitable for conversion and if loft conversion is the most suitable way to create the much-needed space. Up Another Level Loft Conversions Limited are the premier loft conversion company in Birmingham and West Midlands. We take pride in our clients and always ensure that we deliver quality services beyond their expectations. Also, we have over 15years experience in the industry which guarantees you of our professionalism. We would like to elevate your loft to a whole new level, contact us today for more information.